Speed & AccuracyAI removes redundant tasks & processing errors, freeing up more time to serve customers & suppliers. Greater AgilityWith no granular knowledge to master, rapid onboarding can be achieved, along with improved scalability during growth. Higher IntelligenceThanks to AI-based analytics & tailored dashboards, users always make the best possible business decision. Built on a set of technologies designed to mimic human intelligence, Esker’s AI Engine combines machine learning and deep learning to manage and analyze structured and unstructured data from the most complex business processes. WATCHES. LEARNS. IMPROVES AS IT GOES. Machine learning is an AI technology that uses algorithms to teach a computer to do what comes naturally to humans.  Since you’re the expert, the Esker AI Engine “learns” how you manage orders, process invoices and handle exceptions of all kinds, and continues to improve its understanding of data over time to become even more accurate and efficient. Inspired by how humans see the world, Convolutional Neural Networks (CNN) is the technology at the heart of the Esker AI Engine. As a subset of machine learning, deep learning algorithms allow software to train itself to perform tasks by exposing CNNs to vast amounts of data. Benefiting from the Esker AI Engine requires no additional implementation or IT complexity — the technology is already embedded into our cloud platform and ready to be used within our P2P and O2C solutions. Esker’s O2C solution addresses the manual gaps within the O2C cycle that inhibit processing speed, transparency and customer satisfaction in processes such as order management and accounts receivable. 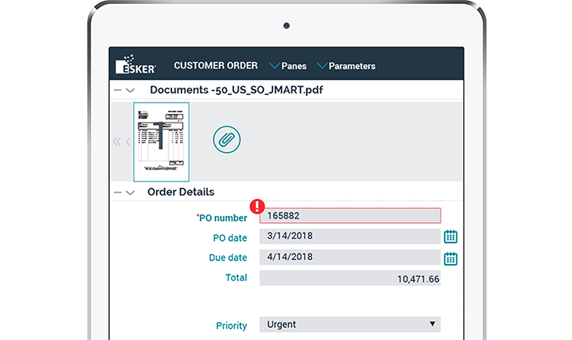 From receipt of goods to the creation of an accounting book entry, Esker’s P2P solution enables businesses to automate every phase of the P2P cycle and positively transform the way they purchase, book and pay. Questions? Comments? No matter what it is, we're easy to reach.